Andres held the long pistol steady . . .
Now in paperback! 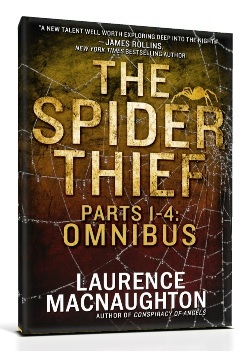 The Spider Thief: Omnibus collects all four novellas into one gripping novel. The crisp mountain air washed over Ash like a torrent of cold water. It whispered across waves of tan grass, carrying the scent of old pines, making him feel alive again. The porch boards creaked as the gunmen crowded in on either side of Ash. Behind, Andres’s leather shoes stepped onto the wooden threshold of the abandoned farmhouse. Then everything went quiet.